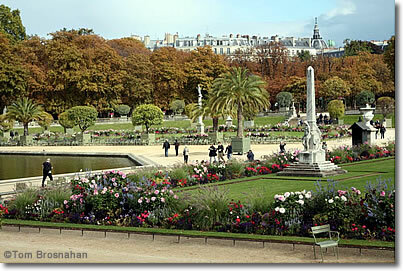 Best plans for your time for 1, 2, 3 days, a week or more in and near Paris, including Versailles, Chartres, Giverny and other day-trip excursion destinations. Take in the panoramic view of the city from the top of the Arc de Triomphe or Tour Montparnasse (much quicker and easier to enter than the Eiffel Tower), then wander down the Champs-Élysées and the rue du Faubourg St-Honoré past the Palais de l'Élysée (home of France's president), the embassy buildings, and the poshest shops in Paris. 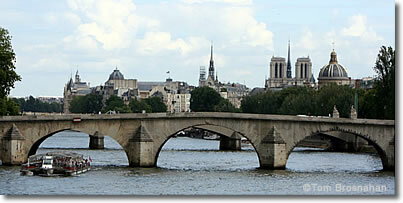 Here are excellent History Walks Paris walking tours by our friend Ann Branston. 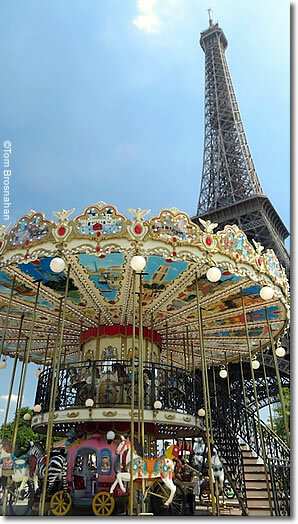 Eiffel Tower & kids' carousel. 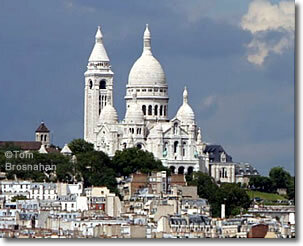 View of Sacré-Coeur from the Eiffel Tower? Non! From the more easily accessible Arc de Triomphe.